We launched new website for Alla's Learning Centre recently. 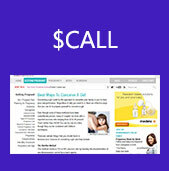 It is a responsive website designed for mobile phones and desktops. The website features clear and easy navigation, has simple but attractive graphics. It also presents the business of the client very well. Here you will learn about talent development classes: Science Tutoring, Visual Art, Photography, Dance, Drama, Chess etc. Visitor now can easily apply for any of the services provided by Alla's Music Studio: pre-school programs, music for babies, music lessons for children and individuals. Having a website is not an option for any business. In the age of the Internet clients and prospects expect to be able to see you online. That does not mean any business needs a fancy and expensive website. For most local cases a page stating the services you provide, working hours, contact information would suffice. Being in Internet business for over 10 years we will advise what type of the website you need and what features required. Understanding your budget restraints we will provide you with a most economical options - to fit into your budget. There are several things you need to be aware of the website ownership. Any website starts with the domain name registration. We will help you find and register a proper name for you. We will also design a website for you - modern, professional and appropriate to your industry. For your website to be available on the Internet it needs to be hosted. We will offer you an economical hosting with no hassels and full support. When budget allows, we will market the website for you to make your business really visible to the audience you look for. 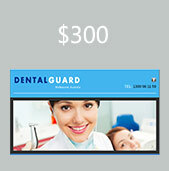 Making it easier for your budget we designed several packages. The are different in features and pricing but very easy to understand and afford. 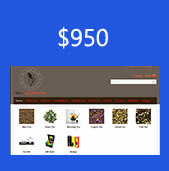 All our website packages make a good business sense. For you it always mean clarity of costs, no additional expenses and flexibility. You can switch to different package at any time. All our web packages offer a good quality of service - they differ only in services included. Learn more about web packages. Businesses we deal with are of various nature. They are on different points of business development cycle. Therefore they require different sets of website services. We will be able to offer you a suitable set of features such as online brochure, online shop, artisitic presentation or others. Professional web design, 1 page with the contact form. Example: individual property for sale. 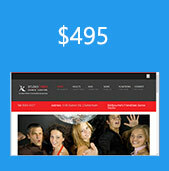 BusWeb package includes web design, domain name and hosting for 12 months. E-commerce solution includes web design, domain and hosting for 12 months. Wordpress customisation to suit your business working on smartphones, tablets and desktops. More about our web designers..